also designated Fornax A, is a lenticular galaxy, 60,000,000 light years distant. 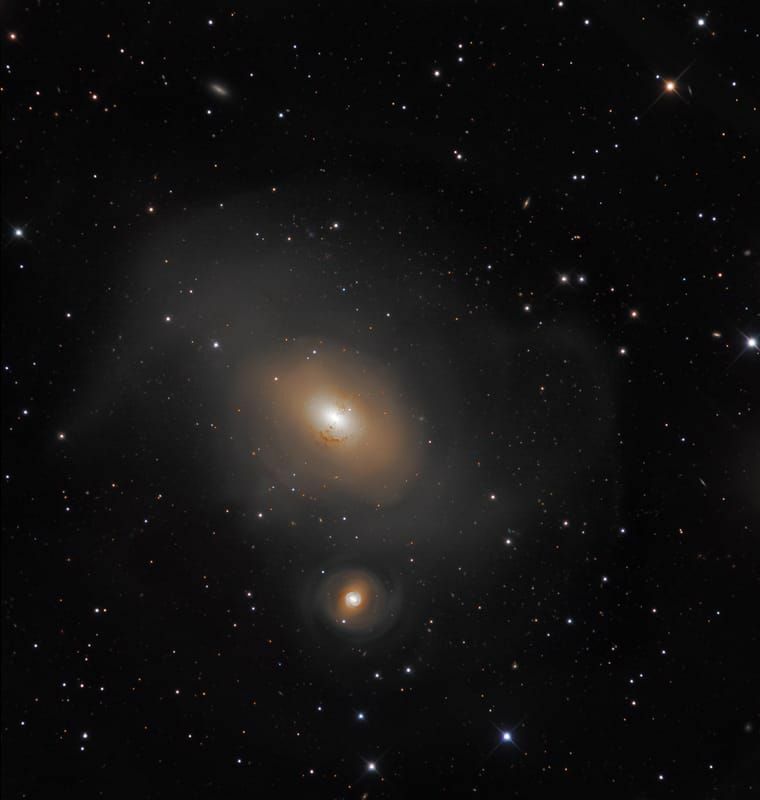 As captured here, Fornax A is in the process of devouring the smaller face-on spiral galaxy, NGC 1317 below it. Also seen around the larger Fornax A are faint tidal tails- wisps of stars torn from their original locations. The data was acquired at SSRO in 2016.